A nice 2 bedroom bungalow in up and coming Hazel Park. 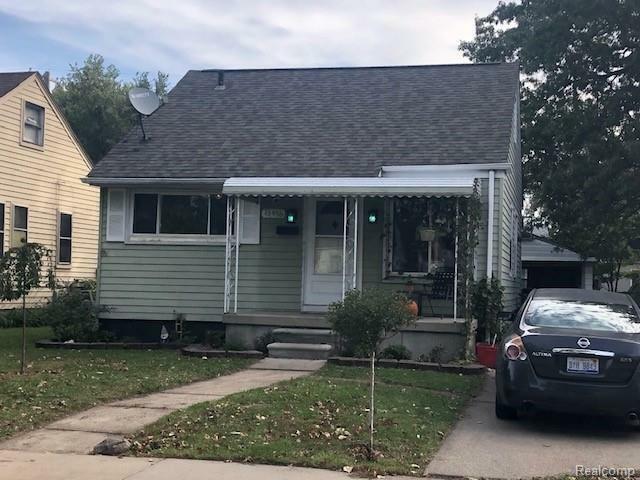 This charming home would be a perfect starter home with hardwood floors, updated kitchen with oak kitchen cabinets and custom oak blinds. Covered front porch, great patio in the back yard perfect for entertaining, garage with work area space. Biometric floor door lock that unlocks with just fingerprint. Newer dimensional shingle roof. Attic space is partial finished and could be completed for a possible third bedroom or office area. Living room curtains excluded.